The famed Gerson diet is a nutrition-based therapy that purportedly can promote healing in the body. The Gerson therapy was originally developed as a dietary cure for cancers and other diseases, and many people still believe today that this diet is a tremendous source of disease healing. A German doctor named Max Gerson created this dietary therapy in the 1920s after treating patients with cancer and tuberculosis. He claimed that in the majority of patients who consumed the diet, there was a marked improvement in their condition and for all intents and purposes, these individuals were completely cured. The goal of the Gerson Diet is to detoxify the body through nutrition. Historically, the diet has included the following elements. 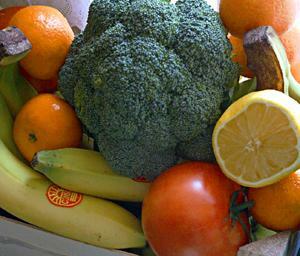 Raw Foods - The Gerson Diet is based on raw plant-based foods. Vitamin Supplementation - Though this has varied over the years, Gerson himself treated patients with vitamin C, iodine, and other vitamins and minerals. Organic Juices - Organic juices, especially carrot juice, were a cornerstone of the diet. Gerson suggested patients drink these regularly, even once every waking hour. Enemas - Historically, the Gerson Diet included coffee enemas, which purportedly helped the liver function by opening bile ducts. Flaxseed Oil - Flaxseed oil should be used raw, not cooked. Gerson advised patients not to use aluminum pots, pans, or utensils and not to consume berries, nuts, or plain water. The Gerson Institute was founded by Dr. Gerson's daughter, Charlotte Gerson, in 1977 and is based in San Diego, California. According to the website for the Institute, the therapy is a "safe, natural treatment" that includes the Gerson diet, enemas, detoxification, and supplementation to help the body heal itself. The institute is a building block for Gerson clinics, treatment centers, and trained practitioners. It's treatment and practices are based on the work of Max Gerson and his published works over the lifetime of his career in medicine. There are a variety of safety concerns related to the Gerson's diet. By and large, the diet and therapy has not been accepted by the mainstream medical community. In fact, many suggest the therapy can be quite dangerous for a number of reasons, including the following. Coffee enemas, a cornerstone in the therapy, have been known to cause medical problems or even death. Many within the medical community do not feel there is sufficient evidence to support the Gerson diet or therapies and that foregoing typical cancer treatments or treatments for other ailments in favor of these could be extremely dangerous. Though Gerson published his own version of clinical trials, those done through traditional medical means purportedly did not prove the effectiveness of Gerson's methods. Some studies have suggested the Gerson diet could actually make patients sicker. When evaluating a new therapy and trying to ascertain if it is right for you, it may be best to consult multiple medical professionals to get a variety of opinions. When facing a serious medical illness that could be life threatening, having more than one doctor's opinion and exploring several treatment options may be the best way to go to ensure that you make the best choice for you and your health.